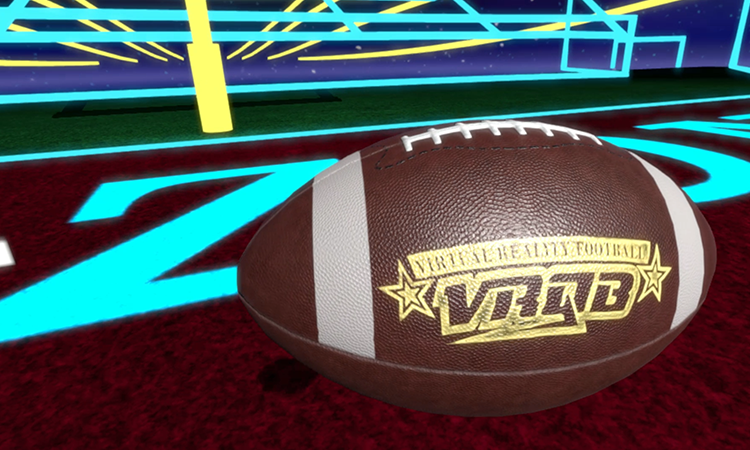 VRQB is the definitive arcade VR football experience. You are the quarterback, driving down the field while racking up as many points as possible. 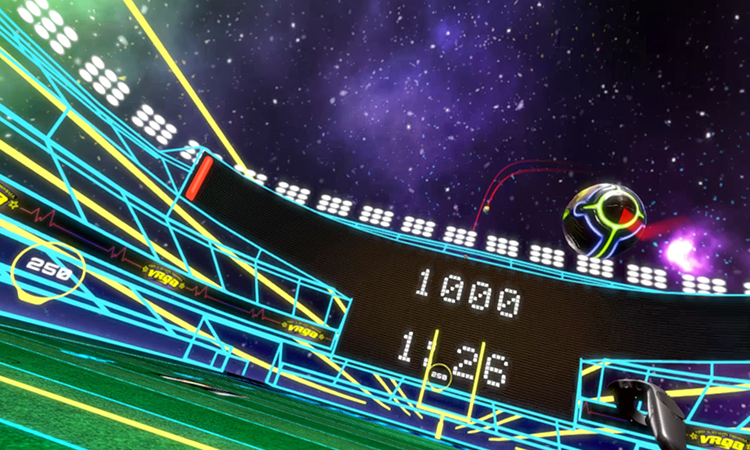 Experience the excitement of classic arcade football from the quarterback's perspective. 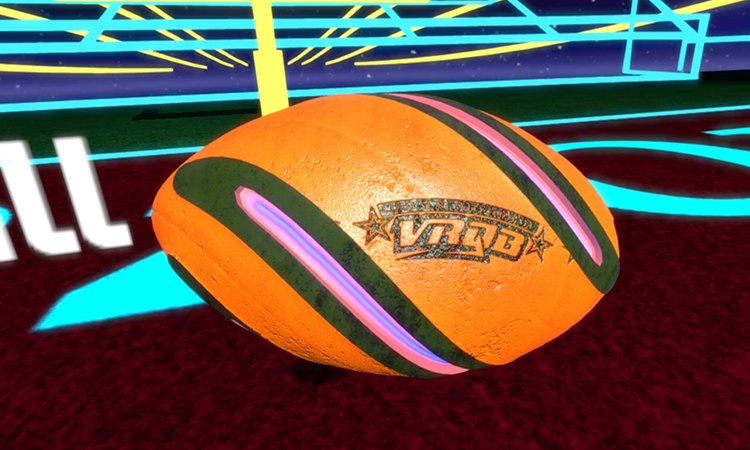 Players can choose from five different footballs that each offer their own unique play style. 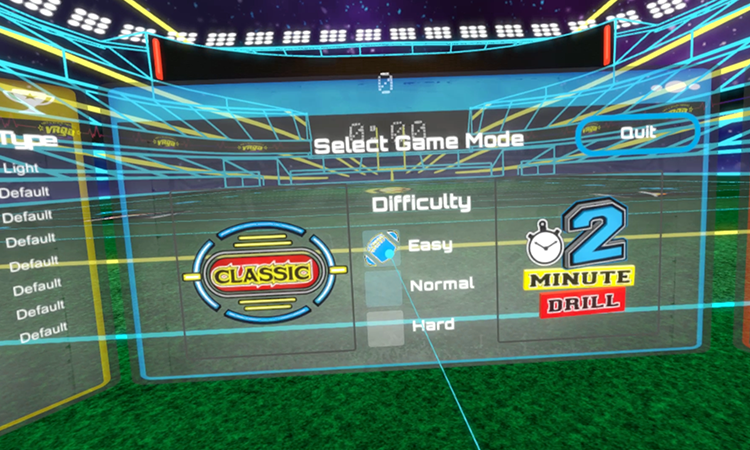 VRQB currently features three game modes with three different difficulty levels: Classic, Two Minute Drill, and Scramble. 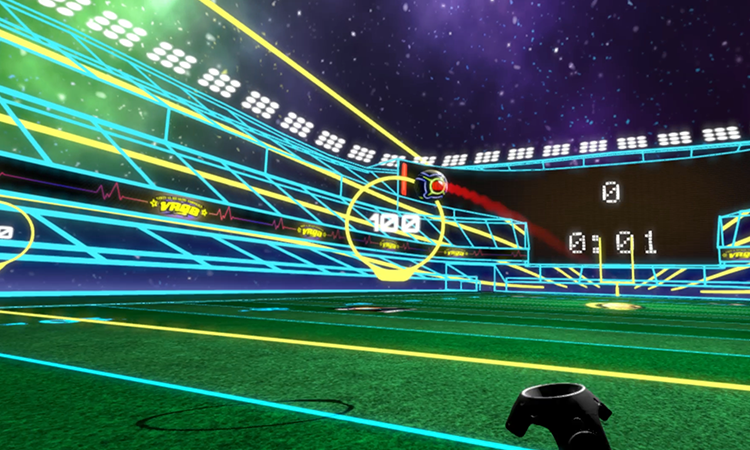 In Classic mode, the player drives down the field by hitting groups of three targets spread out across the field. 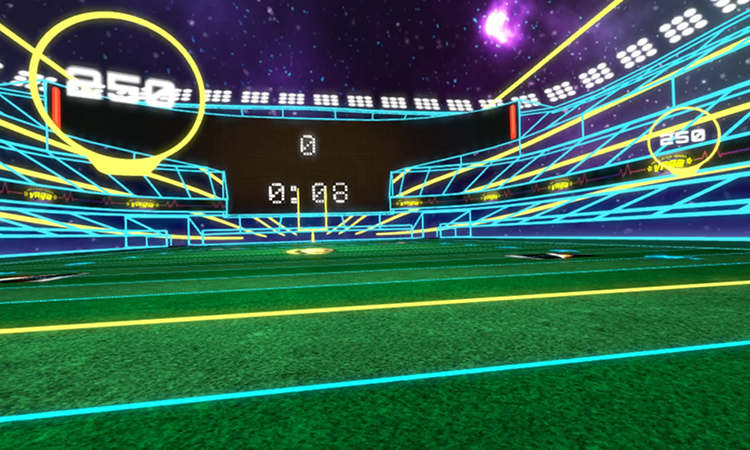 Clearing each set of targets gives the player a first down, enabling the player to move down the field. 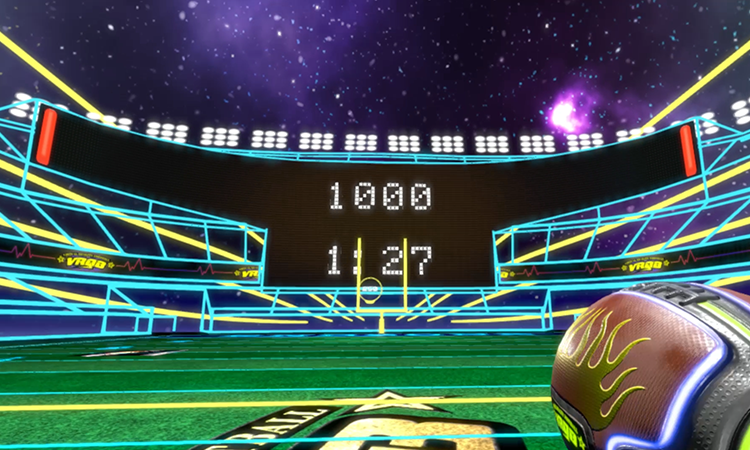 The player tries to reach the end zone while increasing their multiplier by hitting consecutive targets. In the Two Minute Drill, the player has two minutes to score as many points as possible. The player has the option of hitting three different targets, moving to the location of the target hit. Players must weigh hitting the closer, reliable targets to build up a streak multiplier, or airing it down the field and going for the big gain. 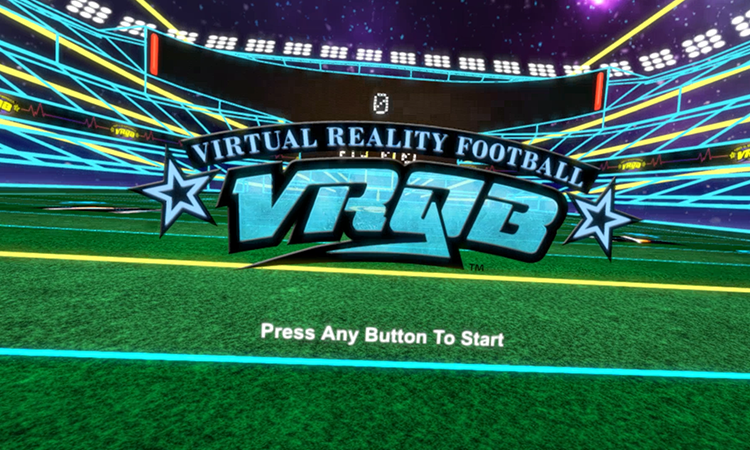 In Scramble mode, the player dodges the VRQB tackling dummies while trying to score as many touchdowns as possible. Be careful, as after each touchdown scored, the dummies will increase their speed and spawn rate. You can be tackled three times before your round is over, so don't give up after taking your first hit! Try to beat your own scores on the local leaderboard, or try to be the top in world on the online leaderboard! After Sunset Games is a privately owned multimedia and game development studio based in Orlando, Florida. Founded in 2016 by a team of 3 individuals with an aim to create unique and creative virtual reality experiences that everyone can enjoy. There are far more images available for After Sunset Games, LLC, but these are the ones we felt would be most useful to you. If you have specific requests, please do contact us!